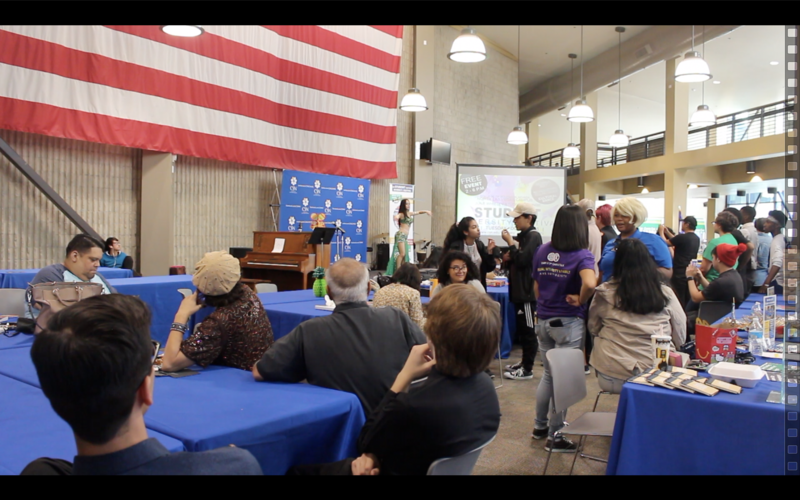 Multicultural event on campus showcased different cultures coming together as performers, music, food, art and entertainment heightened awareness and appreciation amongst College of Southern Nevada’s community. Student Diversity Festival took place Oct. 23 on CSN’s North Las Vegas campus. Dozens of students and faculty arrived to celebrate the amazing aspects of different cultures. An African drummer struck a heartbeat undertone for the event, which made people stop, pause and listen. A student was selected to join in the performance. A belly dancer did a routine in her regalia with her hips moving to the music while a child in attendance joined her mimicking her movements. 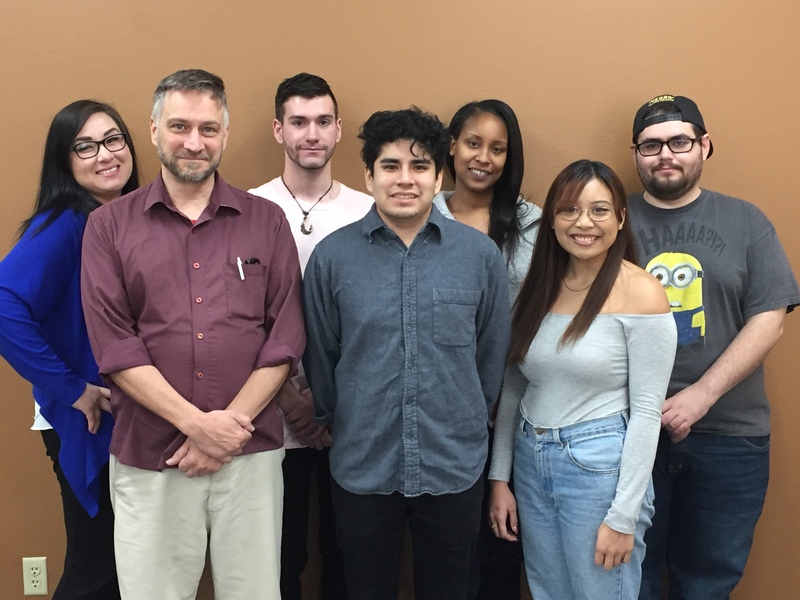 CSN Jazz Trio performed under the tutelage of Professor Richard McGee. Smooth tones captured an audience who clapped along. Food tastings were handed out including Americanized spaghetti, hot dogs and hamburgers. Additionally Filipino dishes, Japanese ice cream and Mexican tamales were enjoyed. Students ate the food while taking in the beautiful art exhibits and live entertainment. Henna art tattooing was a favorite with a big line of students waiting to get them. 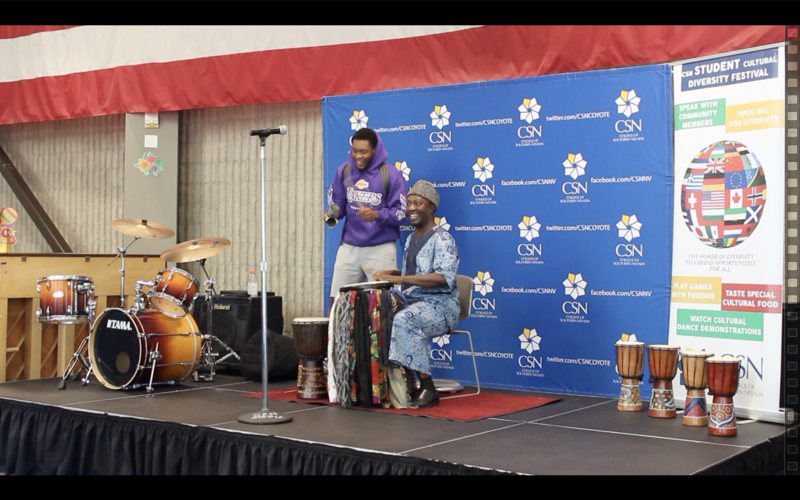 Ashton Ridley, manager of the Office of Inclusive Learning and Engagement, Diversity and Cultural Affairs at CSN, said, “This is the annual student diversity festival that takes place at our North campus. It is an opportunity to bring culture to the College, which is our main role in CSN.” He thinks this event is a chance for students to break down barriers they normally wouldn’t break down. According to CSN’s Facts in Brief’s reporting period August 2016 to May 2017, the student population is varied in terms of ethnicity. A third of students are Caucasian and another third is Hispanic. Following that 11 percent is Asian American and 10 percent African American with 17 percent falling in other categories. That means CSN has a diverse community and events like this showcase it. With that being true, it is important for students to gain cultural competencies and appreciation for others. CSN students who attended the event Kalaiya Vasquez and Alohilani Tufuga share their appreciation for different cultures. A CSN student Donte Walker, who was at the event, appreciated students being open about their experiences with diversity. For more information about diversity on campus, visit https://www.csn.edu/diversity-cultural-affairs for upcoming events and activities.